Espagnolette Handles, Used on most uPVC and timber windows these days and they are designed to turn a series of locks around the window. 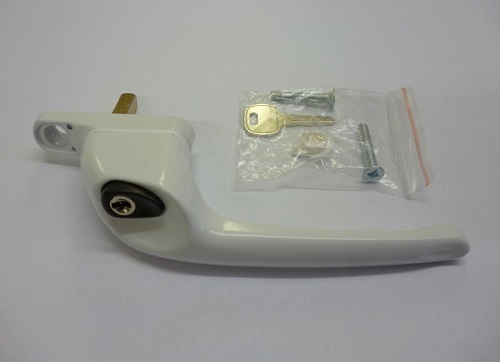 This type of 'multi-point' locking system is used in various forms on new and older windows and the basis of their design is a spindle that protrudes from the handle into the multi-point lock gearbox inside the window. This square spindle operates the gearbox which drives the movement of the locks around the window to engage them and dis-engage them with the handle turn. The spindles can be various lengths.